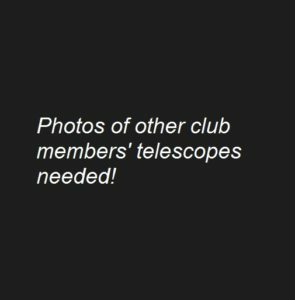 Some examples of telescopes that are owned by members, and are frequently set up for public observing sessions, are shown here. Criterion 8″ Schmidt-Cassegrain. 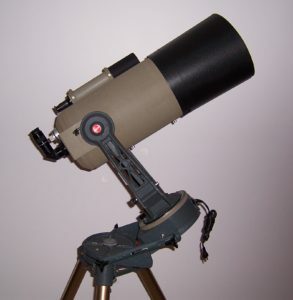 Focal length 2110mm (F10), magnifications 65 – 280. 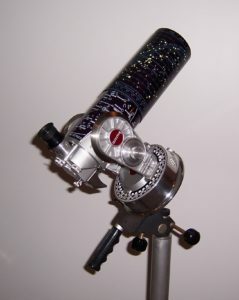 Questar 3.5″ Maksutov. Focal length 1280mm (F14.4), magnifications 50 – 200. 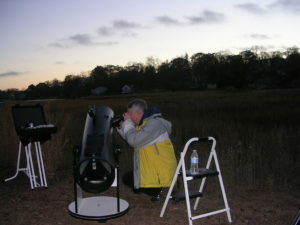 Orion 70mm Refractor. Focal length 700mm (F10), magnifications 28 – 70. 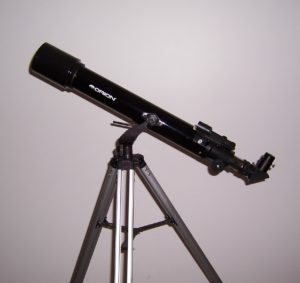 Discovery 10″ Dobsonian: Focal length 1143mm (F4.5).